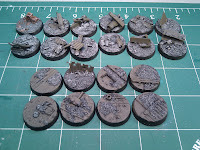 Boltguns, Bashers and Brushes: Basecoats and Lightboxes. I started working on it from a "rusty metal" idea... I am using the Painting corps tutorial as a guide for how I want my rust to look. Check it out here. 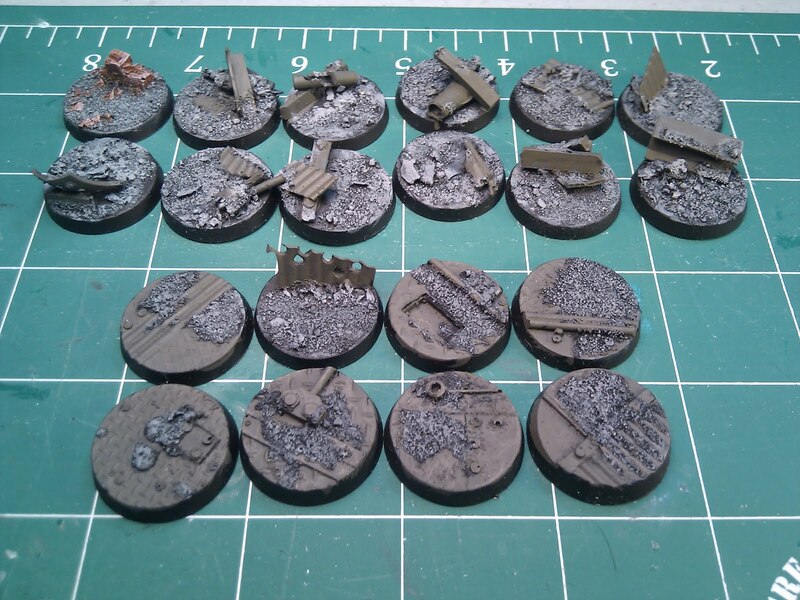 For my city basecoats I used a mix of 2:1:1 Codex grey, Vermin Brown, and Knarloc Green for the metal and two drybrushes of Codex grey and Fortress grey, respectively. 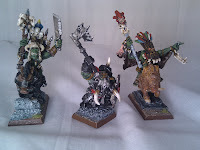 My next step is to get some pigment experiements going, and to weather and highlight. Lastly I do want to add a bit of snowy dirty slush too. 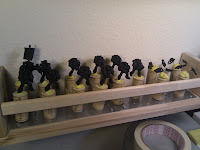 And ready to be worked on, a full ten man Tac Squad all primed and ready to go. 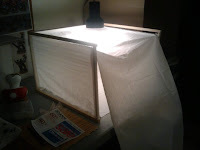 I will be using the Les Bursley tutorial as a starting point. Find it here. 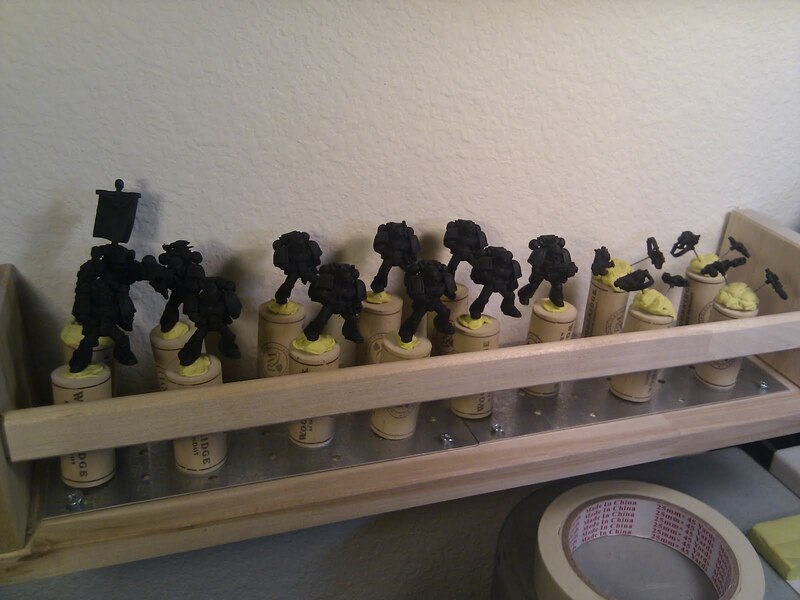 So hopefully by next week I'll finish my bases and get my Tac Squad base coats airbrushed and cleaned up. On a second note, My Fiance and I made a lightbox! Now that I want to continue adding pics of my minis onto this blog, I took a trip to the hardware store followed by the fabric store. After about ten bucks and some planning, I created a quick frame, and my fantastic Seamstress Fiance sewed up the "tent" of cloth to put on it (check out her own nerd blog http://gingergoddess.blogspot.com/). I find it gives a good clear ambient light, but I belove I need to get some more direct lighting from above and from the camera direction. Backgrounds and a plinth, or stand, are also a must. And guess what gang? I found all that love and INSPIRATION by digging through the From The Warp group. Cheeky eh? So how is your project going? Post your links in the comments section!